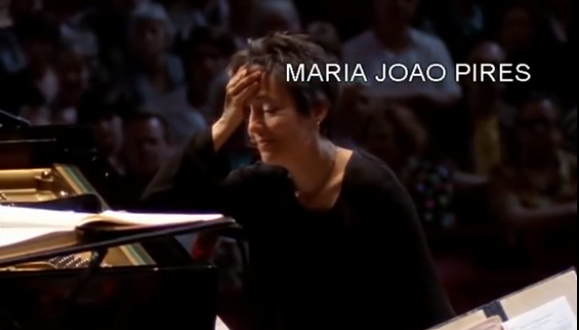 Back in 1999, pianist Maria João Pires was scheduled to play a Mozart Piano Concerto in a lunchtime concert in Amsterdam, with Riccardo Chailly conducting. Chailly looked quite excited about the whole thing and began as normal. Look at him gaily willing the orchestra into life with a towel around his neck. However, there was a problem. A very big problem. Pires had looked at the concert's schedule in advance and learned the concerto accordingly, but it was the wrong one. So when the orchestra began playing, she immediately knew what had happened. Facepalm. But Maria, ever the professional, and with some encouragement from Chailly, trawled her muscle memory and miraculously joined in with the correct concerto without missing a single note, like a complete genius. You may well look surprised, Maestro. A video of the incident was uploaded in 2009 but lay relatively dormant for some time. Then the press picked up on it in 2013, turning it into a viral smash and earning it classic status.